So a couple of weeks ago, I was talking with a friend about urban foraging. She had done a good bit of it while living in Atlanta and was thinking about continuing the practice in Massachusetts. Our discussion inspired me, so I promptly requested a book on urban foraging at the library but didn't make a trip there to pick it up before my book hold expired. Regardless, I knew that dandelions are edible and seeing as they are in abundance, well, everywhere, Luther and I stepped into the yard and picked a large handful of leaves and flowers for lunch. 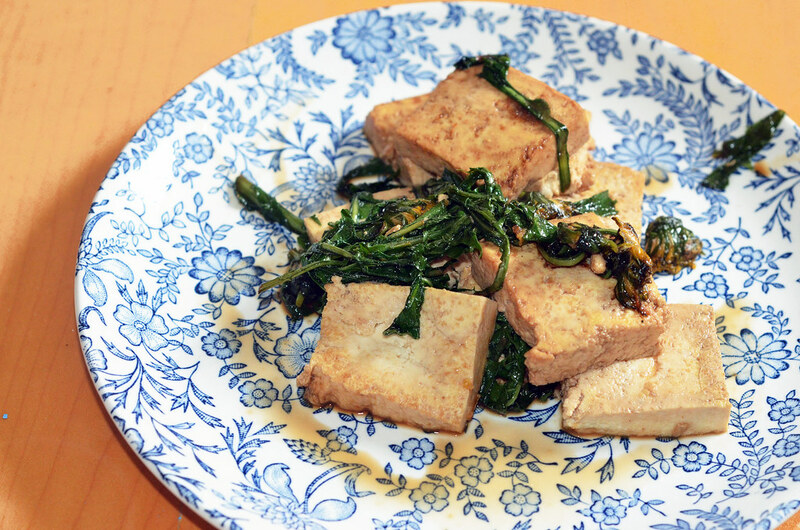 I braised them in water and soy sauce along with some tofu to mimic one of my favorite dishes that is normally made with kale. The greens were pleasant tasting and quite mild, and the whole dish was good. Luther wouldn't try them; cooked greens are a hard sell for kids. However, ever since then he has become obsessed with finding and picking dandelions. He insists on picking every flower he finds to put in a vase in his room (note: dandelions flowers wilt into a hot mess at the speed of light) and when we're driving places, he will shout out out "Mama, a dandelion! There! And there!" And this continues until we reach our destination. This interaction is particularly fun when I'm desperately trying to listen to a good story on NPR. 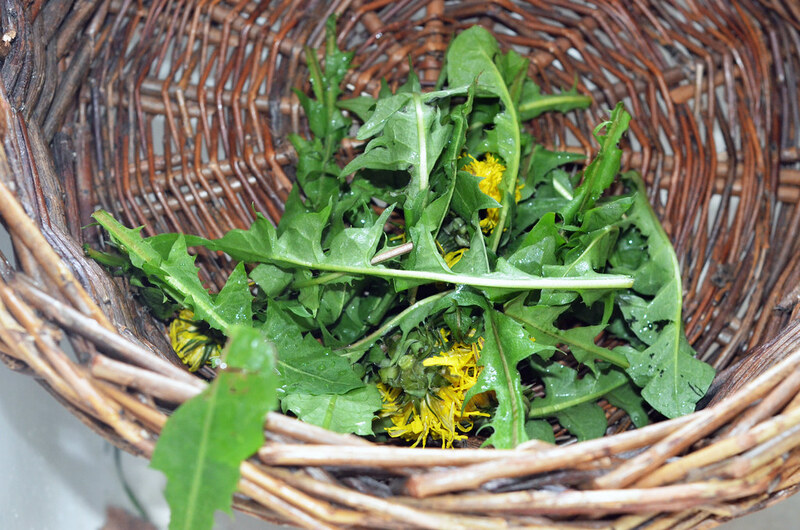 I have since re-requested the foraging book and seeing as dandelions are making a commendable attempt to take over our yard, I think a salad and fried blossoms are soon to be on the menu. This is so cool, can't wait to hear more about your eatery adventures! Thanks Holly; I will report back! Yeah!!!!! I love foraging!!! You can throw those dandelion greens in smoothies for the kids - or in salads! !